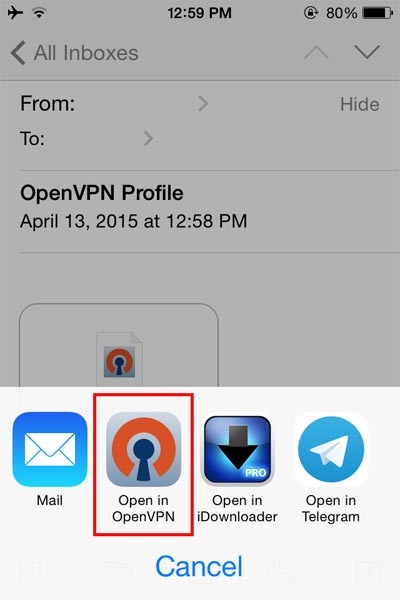 To setup OpenVPN on iPhone iPad ,First Download OpenVPN from App Store. 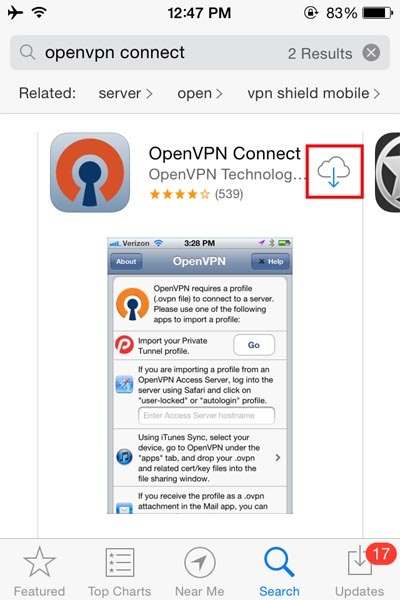 In App Store go to search section and type “OpenVPN Connect”. 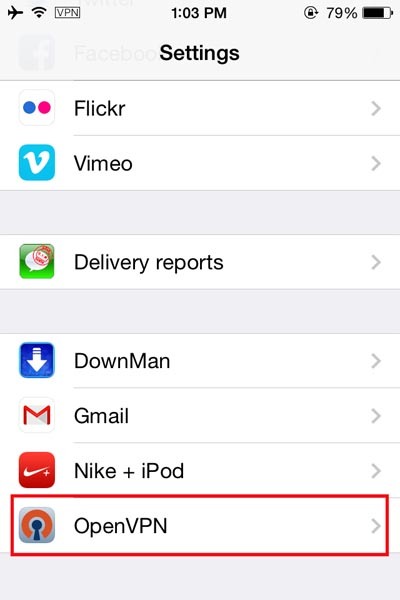 Now download and install “OpenVPN Connect”.During the installation you need to enter Apple ID and Password.Please wait until the installation is complete. Unzip the configuration file that you just downloaded. 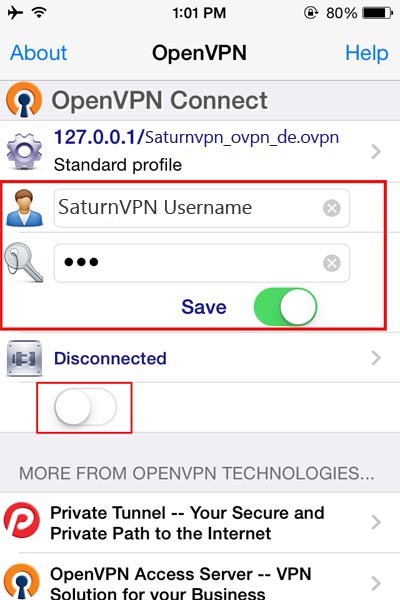 Transfer ( saturnvpn-CA-TCP.ovpn, saturnvpn-UK-TCP.ovpn , …) to your device by email.Open your mail box in IOS device , touch an attachment and select “Open in OpenVPN”. 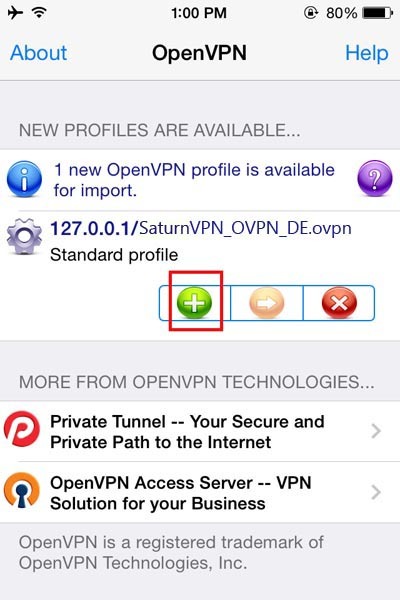 Touch “+” under the “New OpenVPN profiles are available for import”. 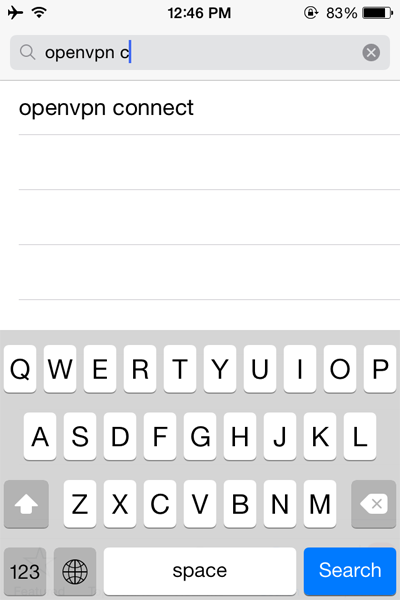 To connect OpenVPN on your IOS device , select “OpenVPN”. Now enter your SaturnVPN account username and password and switch save “ON”. Switch the button “ON”, under “Disconnected”. If you get this message, touch “Yes”. 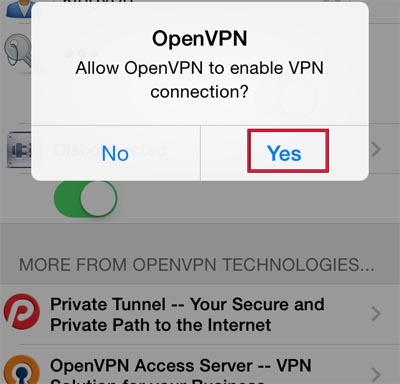 Now you are connected to OpenVPN on iPhone , iPad.